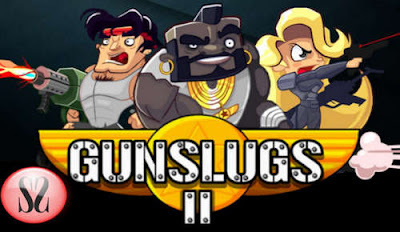 Gunslugs 2 by OrangePixel is an action shooter game filled with chaos, destruction, blazing guns and lots of killing. It features gorgeous retro graphics, multiple characters to choose from, and smooth controls. You play as a lone hero (like Rambo) and you keep shooting stuff as you move through the randomly generated levels. There are many enemies to shoot, there are jungles, trains, and all other elements typical to shooter games. Your end level objective is to blow up a series of towers to bits.